I am stephanie bell, and I am wearing my daughter Paisley and she is about 8 months old in this picture. I am carrying my DD1 Emmy in my arms while we play on the beach. We are enjoying a nice evening in Ocean City. It was warm enough for us to allow the kids to play on the beach even though the sun was going down. I was wearing a Girasol mambini rainbow in a wiggleproof style carry, size 7. This made it possible for me to enjoying my 2 year old on the beach. 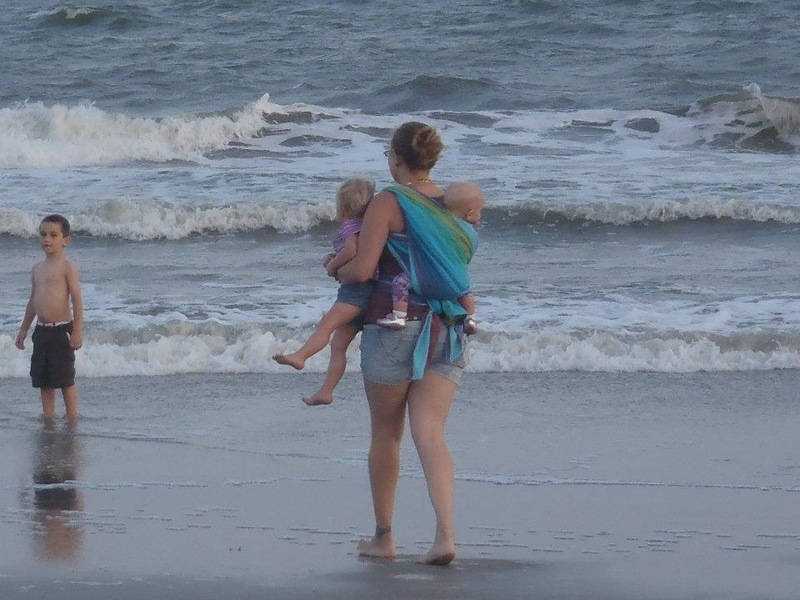 I was babywearing at this moment because we were walking on the boardwalk enjoying a beautiful night.